The BestMassage Potable Massage Table with Spa Bed is made of high-quality hardwoods. It has a full two-section of high-density padding that provides extreme comfort for a pleasant massage experience. 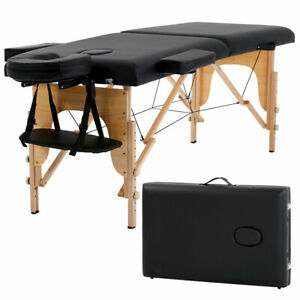 This 84-inch massage table is suitable for professional therapists and alike. In addition, it includes a forward arm rest shelf, and adjen_UStable and removable face cradle along with a face cradle pad, side arm extenders, and an integrated/removable face portal. Thanks for working with my return. excellent transaction , just what I was looking for..
Great price and great item. I never got the table, it says it was delivered, but I still have not received. Item is ok. Got the item on time. Seller didn't respond to email soon enough. The guide says the table can do certain things that this table actually can’t. Sturdy table and already assembled! My friends and I are all jigsaw puzzle lovers. Last summer I found a wonderful folding Puzzle Board and liked it so much I ordered 6 more for Christmas gifts. I then discovered this inexpensive massage table makes a great portable table to use with the Puzzle Board. My friends have commented on what a good idea this is so I have ordered several more and they will be my Christmas gifts for this year! I know my friends will be thrilled, and of course, the table can also be used for it's original intent as a massage table. 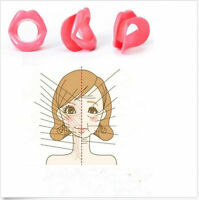 It is sturdy and can be adjusted easily. It comes fully assembled out of the box! I purchased this table to use in my holistic practice for clients to have a place to lay down while receiving light therapy. It will serve the purpose nicely. I almost purchased this same table on Amazon for $25 more but they couldn't process a gift card that was given to me after 4 days of attempts! eBay no such problem and I saved $25! Shipping was super fast as well. My only disappointment is the carry case. It's not a case but thin material that was ripped when I received it. I would use the handles that are on the table to transport if you have to. If you are a massage therapist that travels with your table a lot this may not be the table you need. For the price this is a good table but probably will have to be replaced often if you use it heavily. Loses a star for the "case" that was ripped and really not a case. The table arrived earlier than anticipated and as described (w/all items wrapped and in their respective place. The free carry bag tore before I even got the table out of the box. For the price it’s a really good table. It feels flimsy When your moving it around however it holds up well. 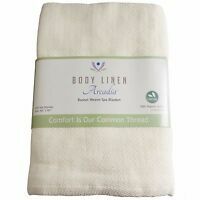 I use it for my Reiki clients and everyone has said it’s comfortable. The table says it holds up to about 450lbs. So far it’s held a person at 250 w/no issues. I recommend this item if you’re starting out. Just arrived and the quality after inspection seems very good. I purchased this for personal use and it will work perfectly for me. As far as for mobile massage I’m uncertain. I estimate you probably could get 2 maybe 3 years of use out of this before replacing it. It’s wildly beyond expectations for the price of 70 dollars especially considering all the attachments are included. It’s light weight but seems sturdy. It’s comfortable and practical. Against the price point of some others at 300-500 range this is the right choice. You can replace this 7 times and get 10-15 years of use while always having a new and clean table. It sets up quick and comes in and out of the travel bag pretty fast. Overall for the price it’s impossible to beat. I made the purchase thinking I had ordered a massage table that had other accessories. (sheets, and round support pillow). I think it I hit buy on the lowest cost table and did not review my order. When it arrived I opened it and was disappointed that the extra accessories were not there. I went ahead and reviewed the instructions. The instructions were short and easy to understand. I proceeded to set the table up which was extremely easy. Open, remove accessories, flip-up onto the legs, attached arm supports and the face cradle. Done and it was super fast. Got on it and moved around and rocked back and forth a bit to see how sturdy it was. It was sturdier than I anticipated. My fiance came over and gave me a deep massage to where she was exerting a lot of weight. This bed is strong and sturdy. Over the last couple weeks we have actually both been on it at the same time. I am 275 lb and she is 200 lbs. I am totally satisfied with the purchase as far is the overall quality for the price. I give 5 stars. After reviewing my mistake I purchased the other accessories and was still a few dollars cheaper. Made me even happier.